I'll fully clean the rifle, do one click to the left and she'll be set. 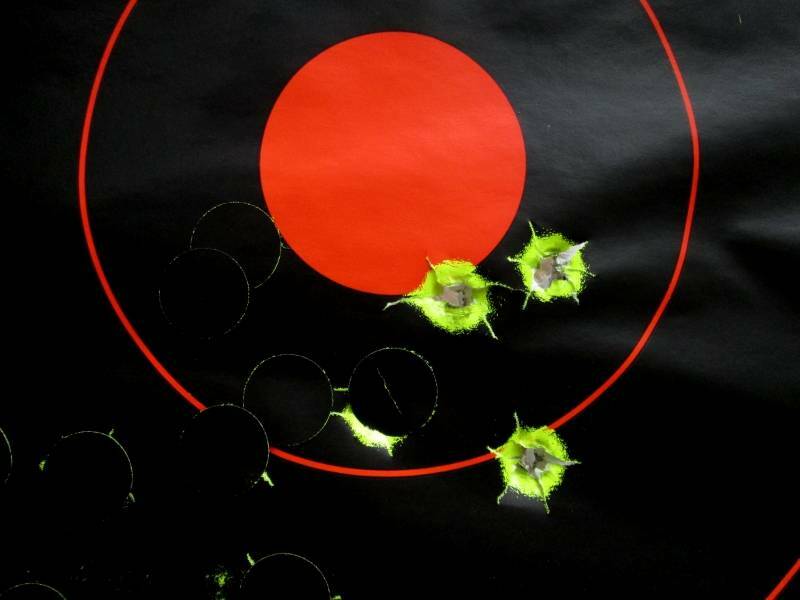 I tried 70gr JSG, .015" patches with anti rust and patch lube, .490" round balls and set up my shooting stick at 100 yards. At first I was disappointed because of all the sight adjustment I'd have to do. 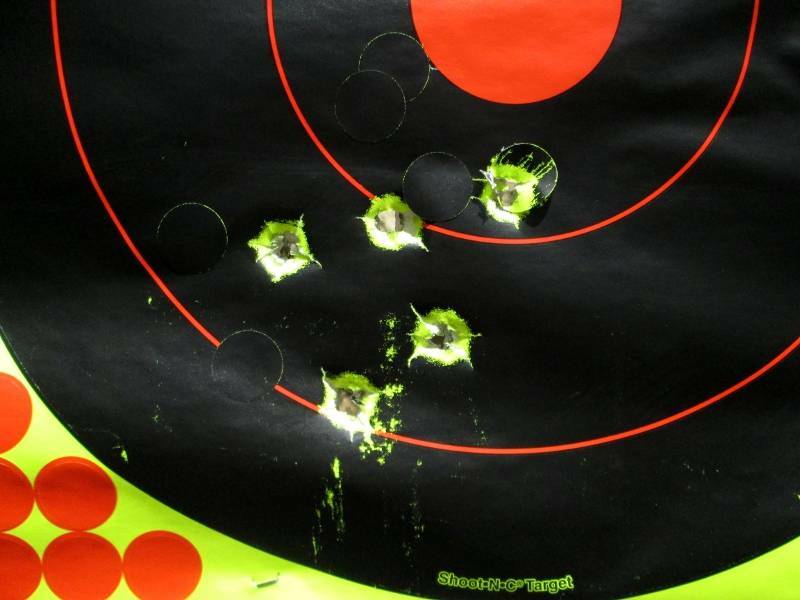 Then after those 5 shots, I took 3 more with 80gr JSG and I was a happy camper. That should do it! Just one click should put me close to center and when it comes time for my brother in law to hunt, just adjust it that one click back to the right. Good shootin' Jonathan. Appears that your ready for that big bruin.